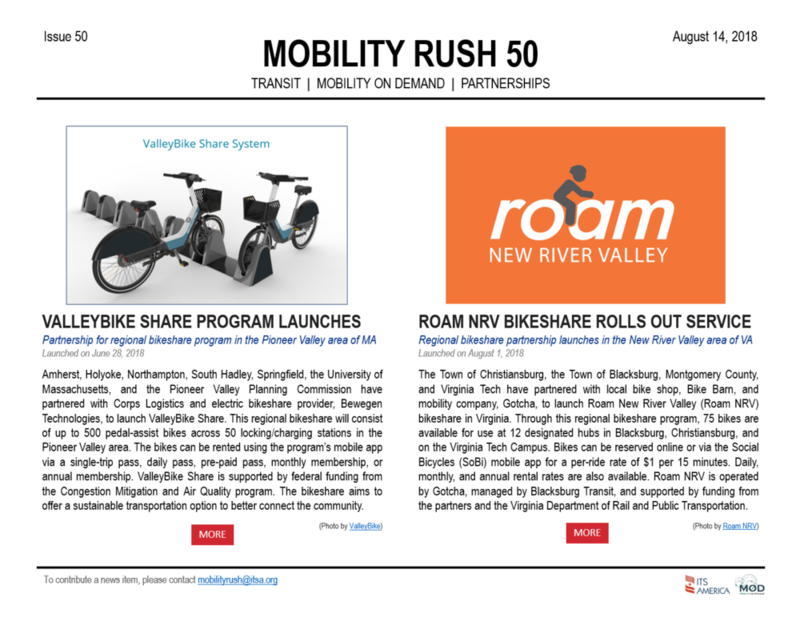 Interested in subscribing to Mobility Rush? 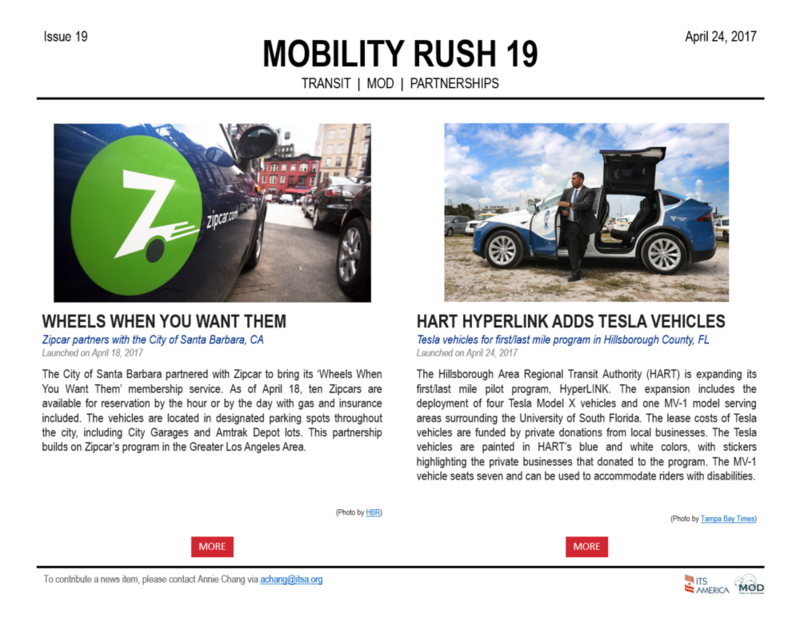 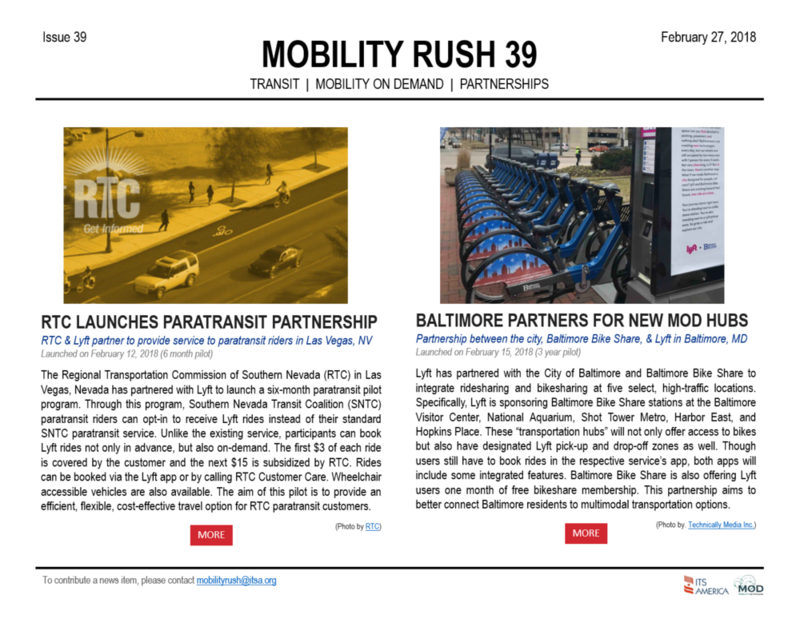 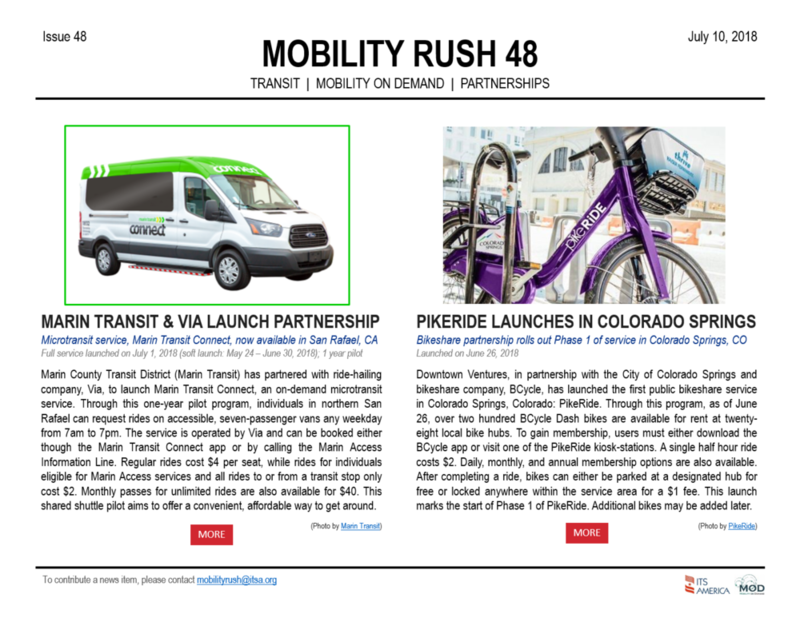 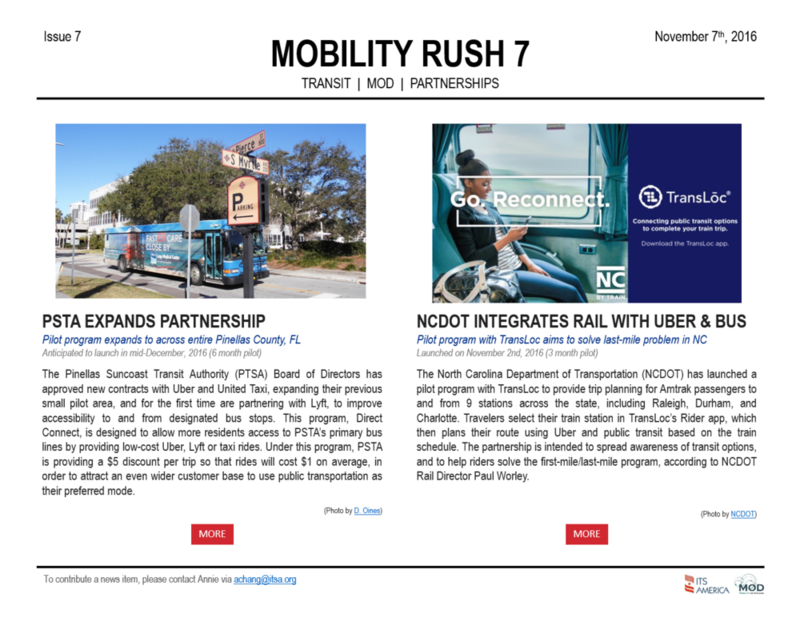 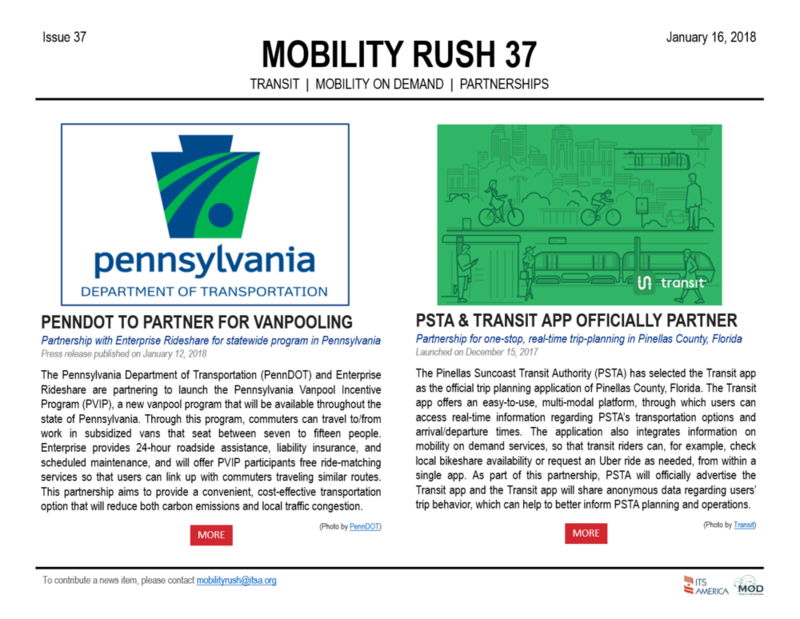 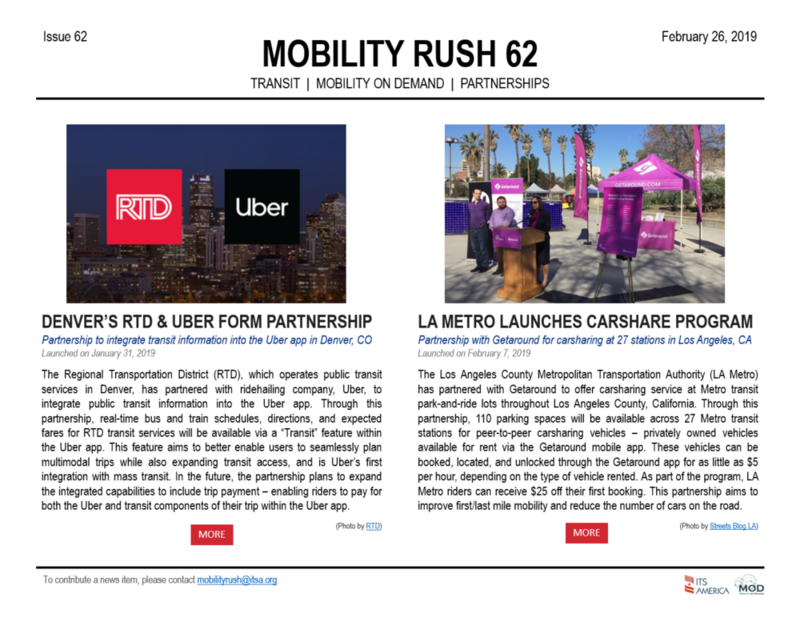 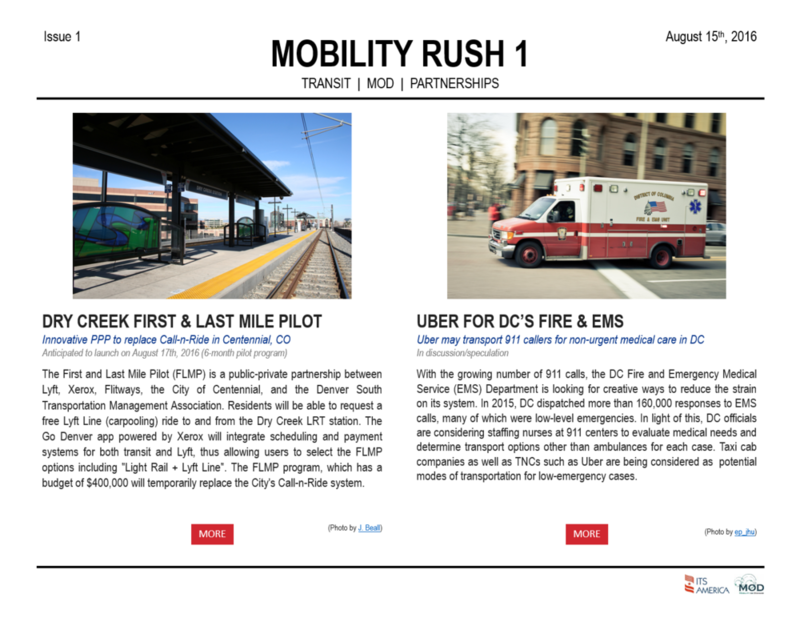 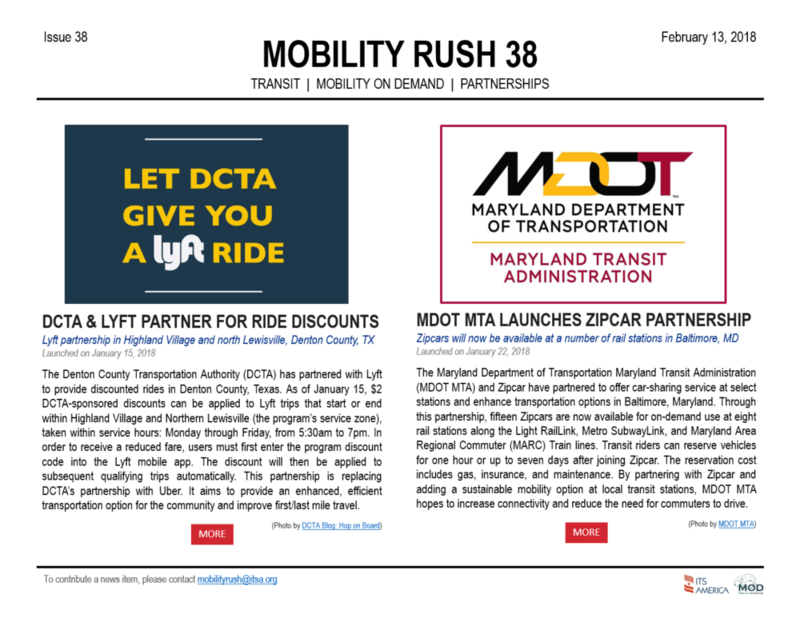 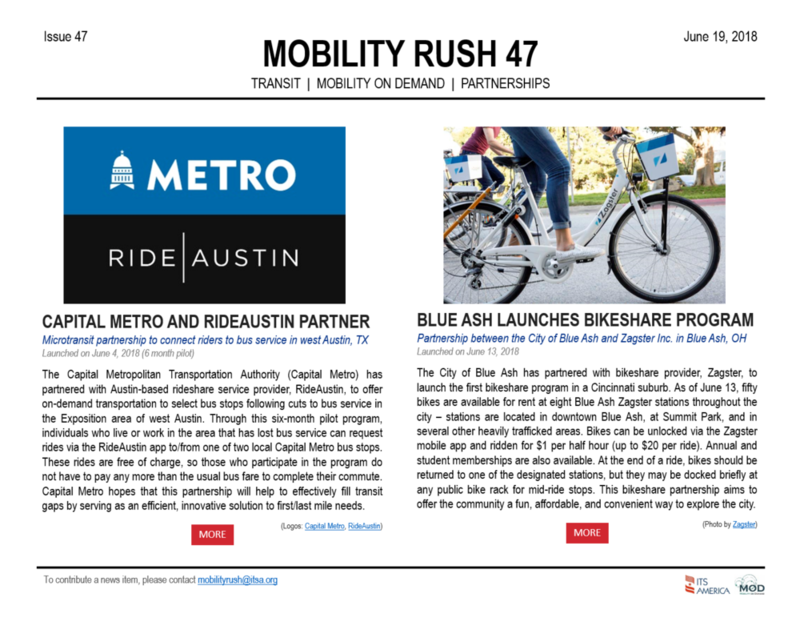 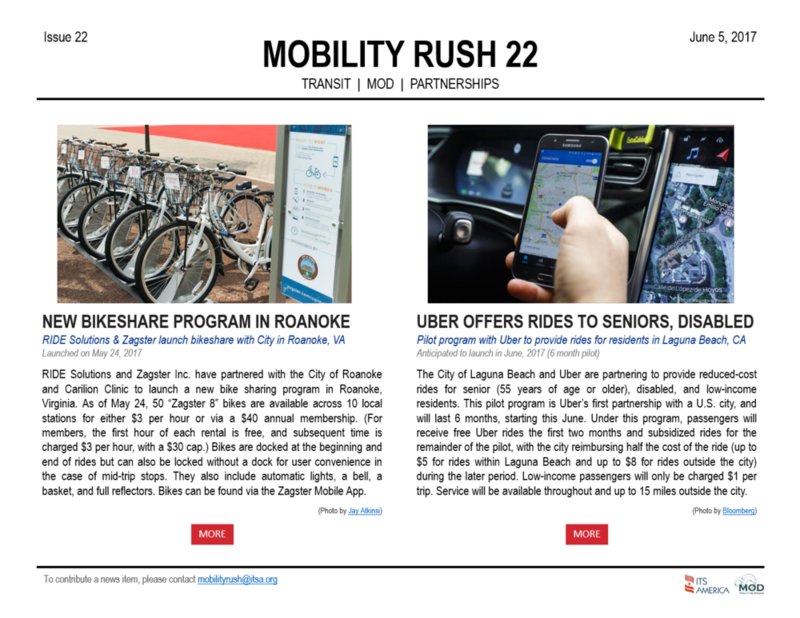 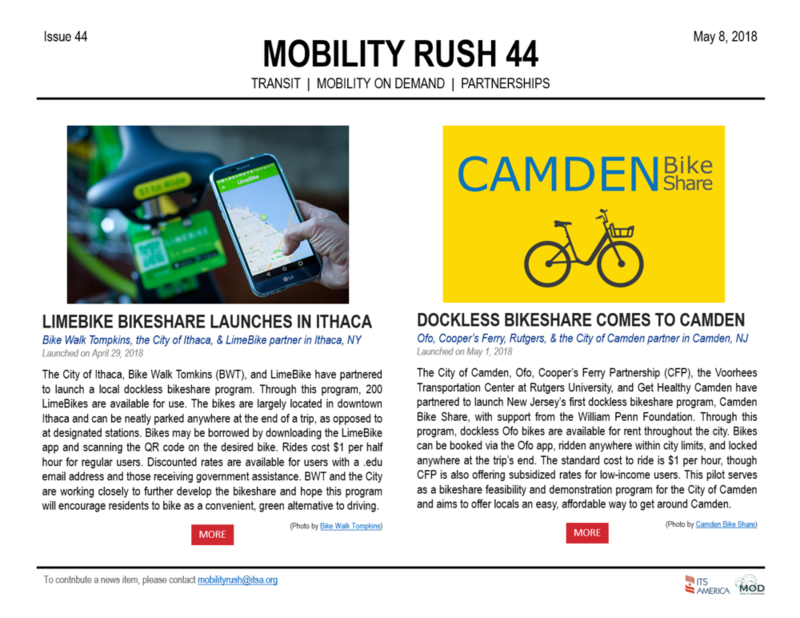 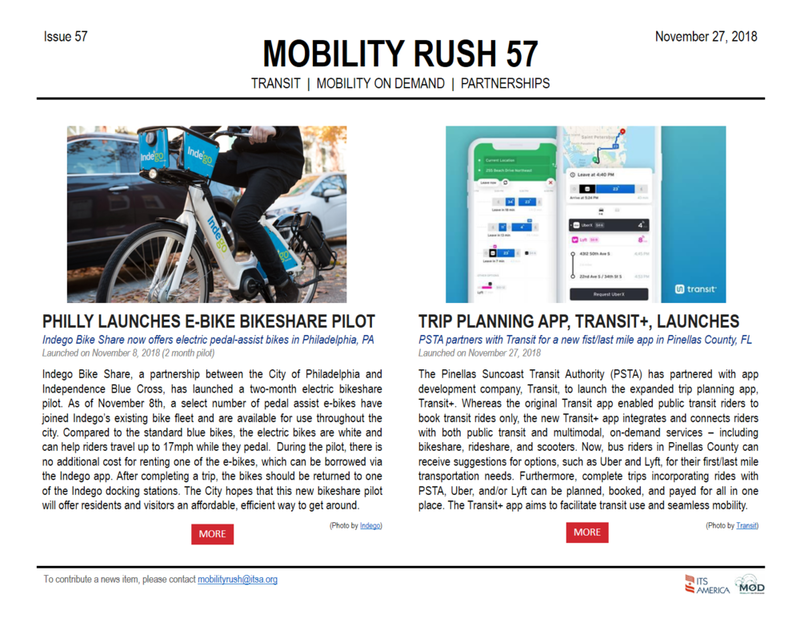 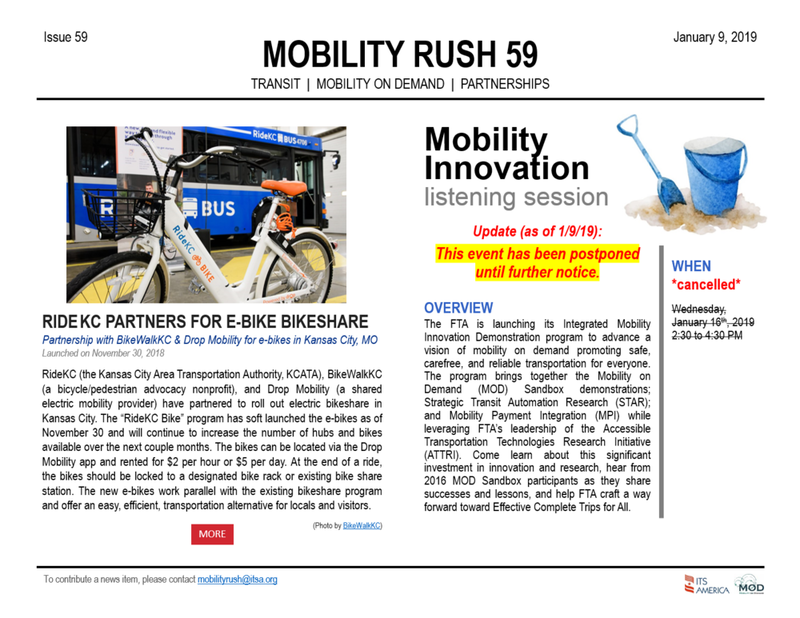 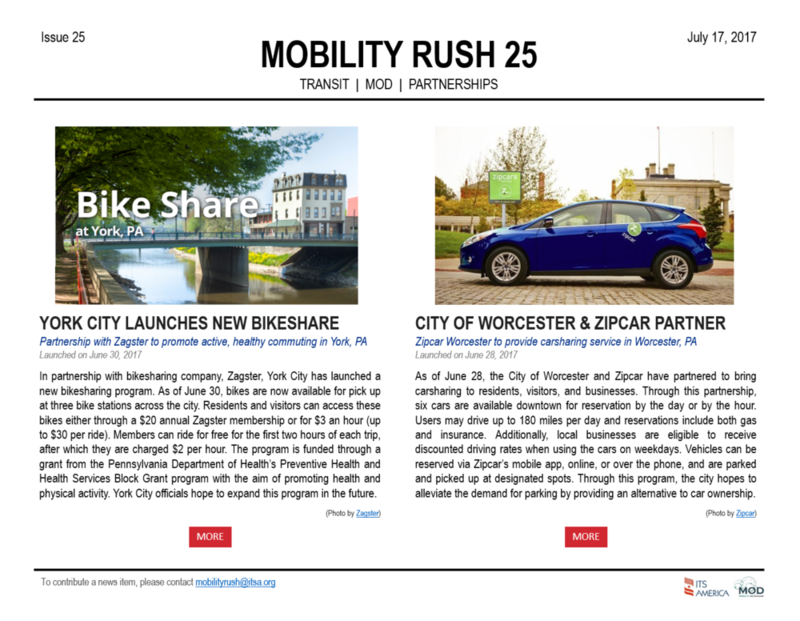 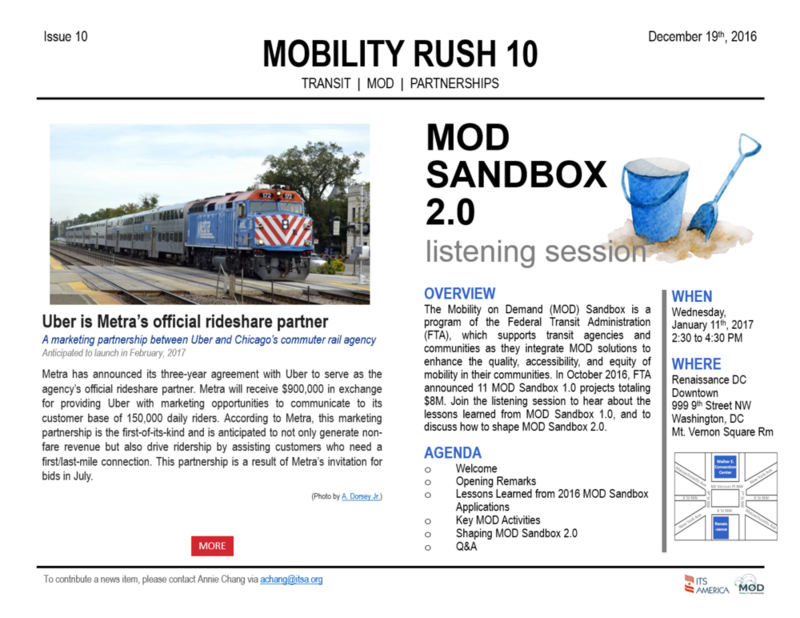 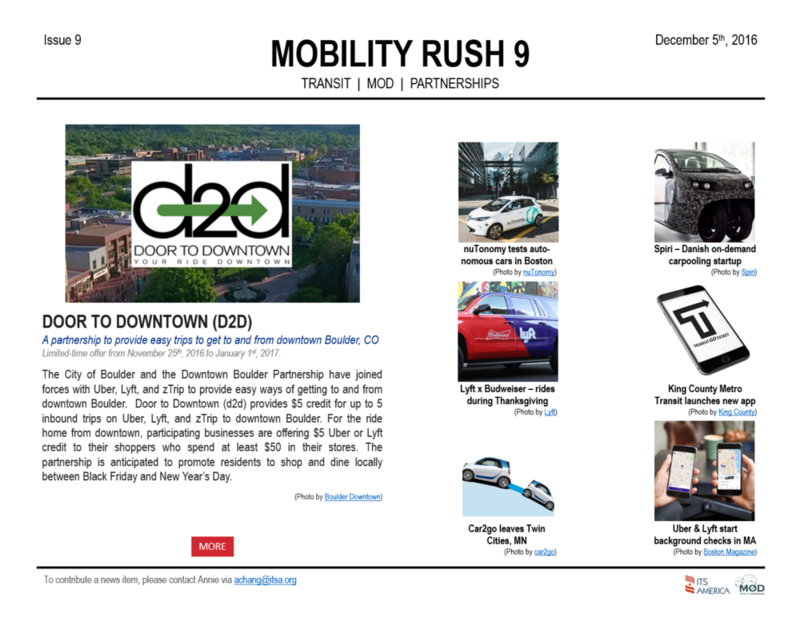 Mobility Rush is a biweekly publication, produced with the support of the Federal Transit Administration, that highlights the latest Mobility on Demand (MOD) partnerships. 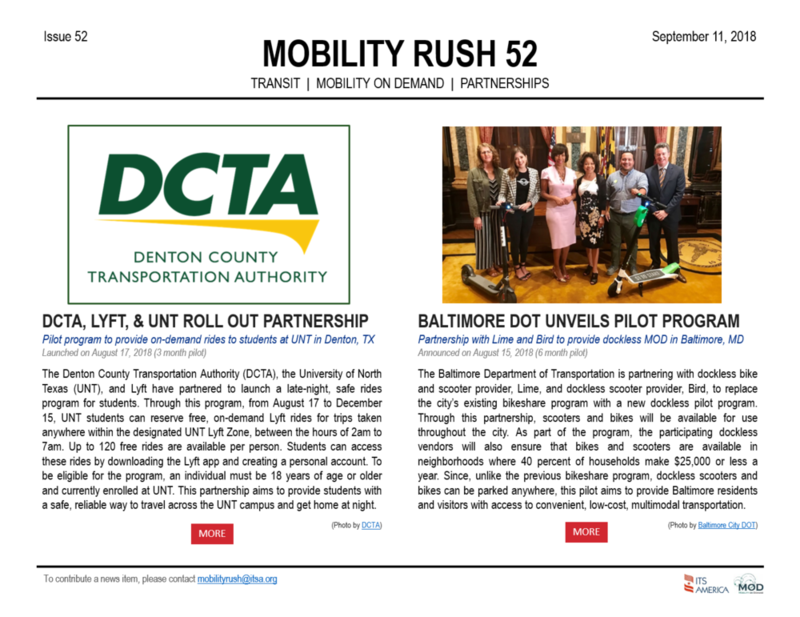 If you want to subscribe to Mobility Rush, please contact Sara Davidson at sdavidson@itsa.org, or you can register here.